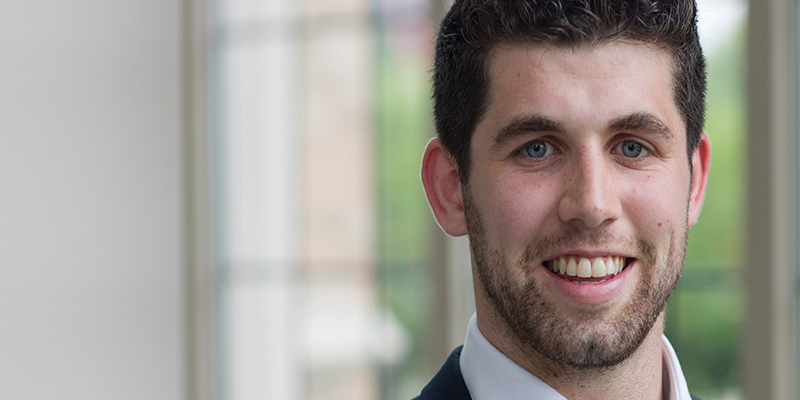 In this Student Blog, Darragh Meaney BSc Business Information Systems graduate, reflects on his time at UCC as part of the new Cork University Business School. I was always going to attend University College Cork. In 2009 my older brother Eoghan embarked on his studies, arriving home with substantially longer hair and “Medicine Class of 2014” on the back of a college hoodie. I remember thinking 2014 felt strange and alien, just too far in the future to have any meaning. My parents would attend my sister Órlaiths graduation from Law and French on her behalf as she was living in Tokyo, Japan by October of her graduating year. I started Business Information Systems in 2014 and our younger sister Éimear took a place in Speech and Language Therapy the following year. A combined seventeen years of Neptune exams, RAG Weeks and the New Bar between the four of us. Early in my college days I came across the quote “Only a fool leaves UCC with just a degree” and the place really fits that ethos. I fell into college life with ease and it really did the world of good for me. My time Leeside hugely shaped who I am today. When looking at college courses prior to my leaving cert it quickly became evident that Business Information Systems was the right course for me. I would urge anyone not yet in University that little will make your college experience better than a genuine interest in your subject matter. There really is a course that suits everyone best, you owe it yourself to find it. We’re fortunate the world is a hugely intricate and diverse place, nothing will better prepare you for the future than following whatever you have an interest in. The notable Steve Jobs quote of ‘connecting the dots’ springs to mind. Being part of a society or club is undoubtedly one of the best things to do in college, to surround yourself with people who share a likeminded interest no matter what that interest might be. In first year I became involved with the Entrepreneurial and Social Society (E&S) and a huge amount of my extracurricular involvement would be in this field. Over the years we ran events from speakers and talks to full scale start-up weekends while finding ourselves in Barcelona, Budapest, Amsterdam and Madrid to name a few. We attended the web summit while it was in Dublin and followed it to Lisbon, a great deal of my best memories of those four years happened in places remote with some of UCC’s best. In May of 2016 I went to Cartagena to take part in EU-XCEL, an EU funded project for aspiring entrepreneurs in ICT fields. In second year I participated in 100minds where I worked with a network of Irish students to collectively raise €550,000 to prevent Childline from losing it’s night time services. I met some of the most inspiring people from every corner of the world at the Global Student Entrepreneur Awards in Toronto in April of this year. I got a lot out of my course but it was the learning I did outside of lecture halls that made my college years unforgettable. BIS has fantastic ties to industry and a mandatory 6 months of work placement found me in London working with Credit Suisse in Canary Wharf. It was a totally different experience but invaluable to see how the world of investment banking and finance operate. Getting to live and work in another country was a great opportunity, London really opened my eyes to a huge amount of the world and I still keep in touch with friends from Cambridge to Caracas. I was awarded a Quercus Scholarship for outstanding achievement in the fields of Innovation and Entrepreneurship. This was undoubtedly the most meaningful achievement of my college years, it meant a great deal to have people I looked up to acknowledge my efforts in a field I really cared about. It’s tradition to receive a silver acorn at a gala in the Aula Maxima with your parents, principal of your secondary school and guests. When you move out of home it’s difficult to keep your parents involved in your college life, there’s a lot you’d like to keep under wraps but it was apt to celebrate this with them. I’m writing over the noise of crickets on a warm summers night quintessential of the Midwest, I hadn’t always planned on continuing my studies but thanks to the Naughton Fellowship I’ve found myself completing my masters in the U.S. at the University of Notre Dame. It really was a once in a lifetime offer and it’s been an incredible adventure. University in the U.S. is a very different ball game. The stadium on campus is about the same size as Croke Park and the roof of the main building is gilded with 23.9 carat gold. Needless to say it took a little acclimatising to. None of this would ever have been possible without the people I met in my UCC days. I will forever remember the many people who went the extra mile for me that opened so many doors. They gave me the largest leg up imaginable in life. A special thanks to Brendan Tuohy, Ciaran Murphy, John O'Halloran, all in BIS and the Quercus program. I am of the opinion the more flights and adventures you can jam into your college years the better, I was lucky to see from Mexico to Mt. Fuji and many places in between during the course of my four years. I will always invest far off places with a certain magic but UCC will always have a distinct feel of home about it. To the people who filled those years with more life and laughter than I ever imagined, a large and heartfelt thanks.